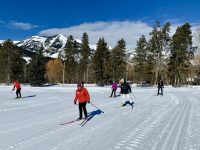 Teton County/Jackson Parks and Recreation Department and the Jackson Hole Mountain Resort are offering a Spanish Language Classic Cross Country Ski Workshop for adults.The workshop is geared toward beginner cross country skiers. 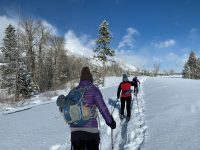 Seasoned instructors from the Jackson Hole Mountain Resort will lead the workshop. Community volunteers will interpret the workshop. Have fun! Get out and try Cross-Country skiing in spanish! 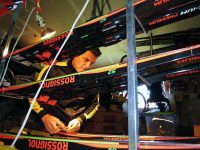 Skinny Skis is offering free cross county ski rentals on a first come, first served basis for this workshop. Contact Skinny Skis at 733-6094 after you register for more information. The workshop will take place on the groomed ski track at the groomed Wilson Centennial Trail. 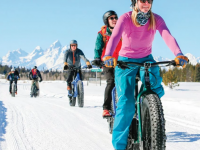 Register at the recreation center or online at www.tetonparksandrec.org by 12:00 pm January 29. Class meets at the START Bus shelter at the Stilson Ranch Parking Lot on the east side of the Wilson Centennial Trail.